Reinforced concrete provides a strong, durable material that can be formed into elements of any shape and size. Structures ranging from simple rectangular beams and columns to complicated forms such as the sails of Sydney’s famous Opera House are part of our everyday life. Its versatility combines the best features of both concrete and steel. Consider some of the very different properties of these two materials. The two materials are complimentary: steel provides the tensile and shear strength, concrete the fire resistance and durability. Together they provide a building material that is flexible, cost-effective and quick to construct. 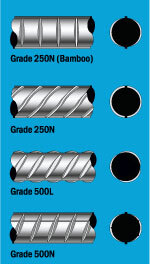 There has been a recent influx of imported reinforcing bar coming onto the Australian market. A lot of this material is manufactured to Standards other than AS 4671 which is the Australian Standard referenced in AS 3600, Concrete Structures Code. 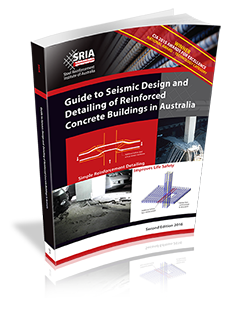 Designers, specifiers and end users should be aware that direct substitution of non AS 4671 reinforcing steel for Australian made product may not achieve design intent. There are some significant differences in metallurgical and physical properties of reinforcing steels. Australian-made steels to AS 4671 have a carbon equivalent of 0.46 or less, whereas most overseas Standards specify a CE of 0.5. The reason for a low CE in Australian steel is to maintain the excellent welding properties of Australian steel. Without special treatment AS 4671 steels are highly weldable. This has provided greater simplicity in prefabrication and fixing of reinforcements especially for precast concrete. Higher CE steels are usually less weldable and/or require preheating and use of special electrodes. Rebend test requirements of AS 4671 give a measure of the susceptibility of steel to strain hardening and embrittlement. 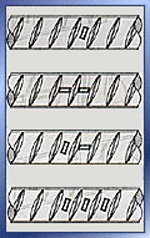 AS 4671 specifies a rebend test 90 degrees and complete straightening whereas Standards such as BS 4449 require only a 45 degree initial bend and 23 degree rebend. The superior rebend requirement of Australian steel had led to extensive use of pull-out bars in precast and slipform construction. Such construction methods rely on the ability to safely rebend the steel. It would be impossible to identify all of the imported steels which may enter Australia. However Australian-made reinforcing steel can be identified by unique marks which identify the manufacturer and even the location of the mill. The diagrams to the left show the unique bar marks for one particular Australian steel, from different mills.